Buffalo, NY - Muller Tool has added the newest Mori Seiki Horizontal Machining Center to it’s repertoire. Offering cutting capacity equivalent to the NH model, the NHX-4000 boasts improved features for ever greater productivity and efficiency. 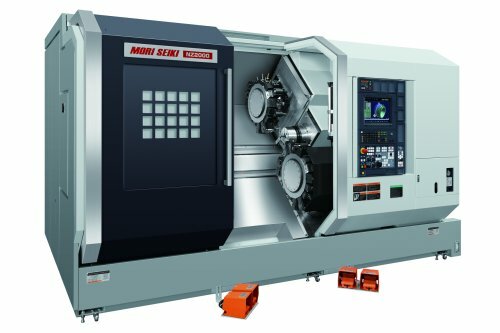 As of September 1st Muller Tool is now fully utilizing the Mori Seiki NZ-2000 with the capacity for two shifts per day. Muller Tool Inc. has recently redesigned it’s website. Working with Buffalo based M.P. Web Design, our new website will work to provide our customers with more up to date information about our offerings and services. Any questions, comments please drop us an e-mail at sales@mullertool.com.